Rodolphe Pacciarella is a partner at Accuracy and leads the Restructuring Services practice. Before joining Accuracy, Rodolphe gained 10 years’ experience working in a Receiver practice with the Tribunal de Commerce de Paris et Nanterre (Paris & Nanterre commercial court). He subsequently joined KPMG in order to develop their restructuring service offer. 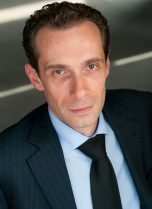 Rodolphe joined Accuracy in 2007 to develop the restructuring activity. Rodolphe speaks French and English. Rodolphe specialises in debt restructuring projects and arranging for new money in the context of amicable proceedings and collective prevention measures (safeguard, mandat ad hoc, conciliation …) on behalf management, shareholders or creditors. Throughout his career, he has participated in numerous distress cases such as NéoSécurité, Groupe Doux, Mory-Ducros, SNCM, La Redoute, FTL-William Saurin, AREVA, Conforama to name a few.